A modern home collection of 12 flats in Downtown Walnut Creek, Three by Lenox Homes is a limited opportunity to OWN NEW in Downtown Walnut Creek. This exclusive address is seven convenient minutes away from the Walnut Creek Bart Station and just steps from the dining and nightlife of Downtown Walnut Creek. Still need more reasons? How about retail therapy at Broadway Plaza. All this and you’ve not even walked through the front door yet! 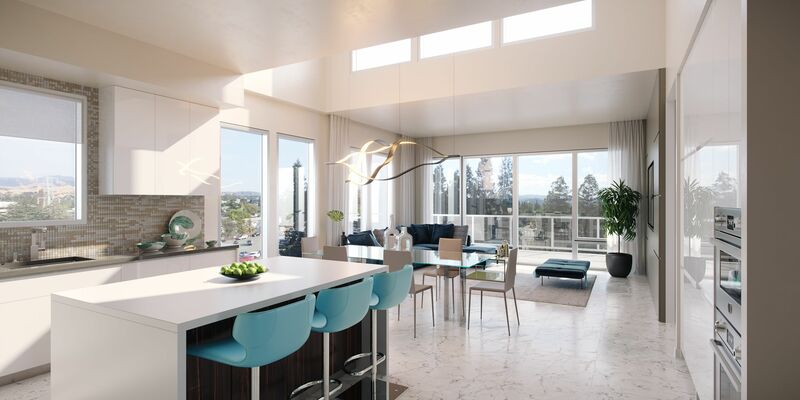 When you do you’ll find 2 Bedroom/ 2 Bath plans ranging from 1,438 - 1,645 sq ft., with private decks and a community Rooftop Lounge with city skyline views.